Spring/Summer seem to be the ideal time for those outdoor DIY projects. Paver patios are an easy project that can be completed in a weekend. If you are looking for low maintenance and durability for high traffic areas – look no further than a paver patio. Dozens, if not hundreds, of videos and DIY instructions are available online. It’s important to research any potential project and to be aware of any possible complications. Up front a paver patio might seem more costly, but in the long run you’ll save the cost of annual sealing, and repairs are low cost and simple. One important safety tip to keep in mind, be sure to call before you do any digging to make sure there aren’t any cable, electrical, or utility lines near the area you’ll be working in. You’ll need to consider how you’ll prep the base for your patio, not only ensuring your patio is level, but that it slopes away from your home to prevent water damage in rainy areas. Pavers vary in shape, color, size, and material. It’s important to shop around to find the best deal as well as the best material that suits your home and landscape style. Consider varying shades and even incorporating wood elements to avoid creating a “patchwork” effect. The idea is to create a recreation area in your yard that blends with the surroundings while providing you with the entertaining space you desire. Pinterest is an ideal place to search for inspiration, patterns, and ideas. Any time we start a project we create a board and add pictures, links to articles, and even products before we start to whittle down to the actual firm plan for the project. Of course, DIY projects aren’t everybody’s cup of tea. In which case, look for a landscaping design professional for your project, collect some bids, and don’t be afraid to ask for references and read reviews online. This entry was posted in Blogging on May 13, 2016 by AmyD..
Air conditioning units can be expensive to run. Where I live our energy bills in the summer can be several hundred dollars – and we’re not keeping the house at balmy temps by any degree! So, air conditioning maintenance isn’t just a good thing to do, it’s basic survival 101. But that’s not the end of A/C maintenance! An air conditioner’s evaporator coil and condenser coil collect dirt over their months and years of use. If your A/C unit is outdoors the condenser coils are prone to collecting dust from the environment and any nearby plants and trees. Bottom line, these coils need to be checked annually and cleaned when necessary. Then there are coil fins that can be bent or damaged and block airflow, condensate drains can become clogged and prevent a unit from alleviating excess humidity. Not to mention, if your unit is in a window, you need to check the seals for any moisture damage or leakage around the unit and window frame. We usually have a certified technician out in the spring every year to go through our two A/C units and make sure everything is functioning properly. How’s it go? An ounce of prevention is worth a pound of cure? I’d hate to be sitting here in triple digit heat and have my air conditioning unit go out simply because I didn’t perform routine maintenance and have a technician check everything out. This entry was posted in Guest Post on May 5, 2016 by AmyD.. 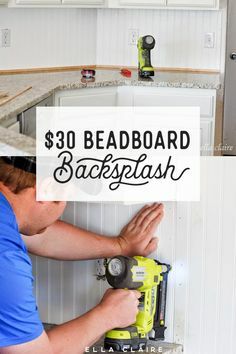 I can’t count the number of times I’ve heard it mentioned on HGTV or home improvement articles that the cheapest and easiest way to update a space is with paint. But, it’s not always a DIY project, things like bullnose corners, straight lines, and hiding imperfections are old hat to pros like, hingham painters. Sure, few hours to a couple of days of labor can render a jaw dropping transformation for very little investment, or it could leave you with crooked lines, paint that bled through the tape, and realizing you should have gone with flat instead of semi-gloss finish. Picking the right color scheme for your interior requires a certain amount of bravery and creativity. People can be afraid of color. I always tell myself that it can always be repainting – then I jump in and go for it. Which is why I didn’t bat an eye painting a wall “Cherry Cobbler Red” or my family room “Chocolate Brown Sprinkles.” Not everyone will agree with your choices, but you are the only one who has to live in your home, so you might as well choose a color that makes you happy, right? Unfortunately, envisioning a color on a wall isn’t enough to ensure a positive paint job. There are many reasons it might be a good idea to a hire professional interior painter. Have you ever tried to paint up to a bullnose corner? I have, it’s not easy. Where do you stop? How do you match it up to another color? Fact is, a professional painter has done it all before. They have tricks of the trade, techniques, and are familiar with the type of paint to use in a given situation. .
It’s true, painting a room can be a DIY project, but if you don’t have the time, aren’t sure how to start, or have a complicated open floorplan that makes figuring out where a color should start or stop, it’s probably time to call in a professional. And, don’t be afraid to ask for references from previous clients. Get referrals from friends and family, too. Most importantly, get the job done right. This entry was posted in Guest Post on March 28, 2016 by AmyD..
Chocolate Champagne Cake! 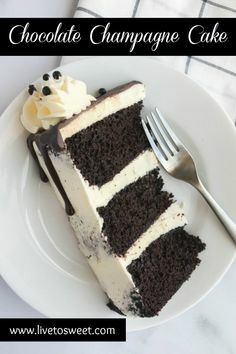 Three layers of decadent chocolate champagne cake frosted with champagne swiss meringue buttercream, and topped with dark chocolate ganache. 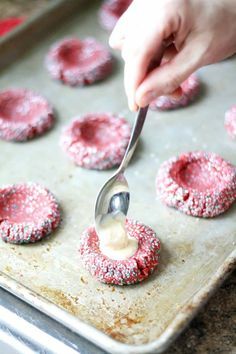 These red velvet thumbprint cookies are so rich and delicious (basically shortbread) with the perfect amount of cream cheese filling. Get the easy recipe here. These are perfect for a Christmas cookie exchange.